One of the newest spots to grab a bite to eat in Kutztown is Pott’s Hot Dogs, located downtown on 100 N. Constitution Blvd. Jeremiah Warsing opened up Pott’s back in August of 2014 and has been serving hot dogs to hungry college students and town residents looking for a quick bite to eat at an affordable price. You can stop in and order the daily special, which consists of 2 regular hot dogs, 1 side and a drink, for $6.75. 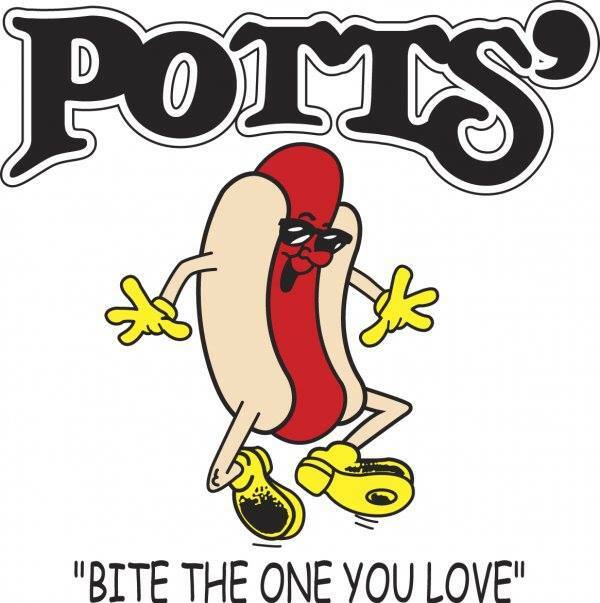 Or, if you’re feeling adventurous, to try one of Pott’s Favorites, like the Heart Attack Dog, which is a hot dog topped with Pott’s secret family chili sauce, cheese and bacon. For those who aren’t feeling hot dogs, there are other options like delicious pulled pork served on a Kaiser roll along with a newer addition to the menu, homemade empanadas. Pott’s was established the year of 1971, in Bethlehem, Pennsylvania. Jeremiah expanded the family business to Kutztown but there are also other Pott’s Hot Dogs in Allentown and Emmaus. Jeremiah has been reaching out to the community with an annual hot dog eating contest, sponsored by Kutztown University’s chapter of Alpha Chi Rho. The past event worked to raise $180 for the American Cancer Society. The contests’ two winners Jeff Hall and Anthony Copora won a $100 prize, along with hot dog trophies for their combined effort in eating just over ten hot dogs. Pott’s is open 11 a.m. to 8 p.m., Monday through Thursday and 11 a.m. to 3 a.m. from Friday to Saturday. They offer free delivery after 4 p.m. and accept Bear Bucks.